Ian has a varied and diverse practice in the UK and abroad. The focus is on seeking to achieve the client’s required result without going to court however, if that is not possible Ian’s particular strength is as an advocate with extensive trial experience. He has been involved in many large-scale and high-profile professional liability cases involving claims against solicitors, accountants, stockbrokers, civil engineers and management consultants. 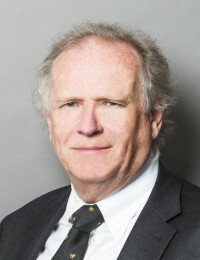 In addition, he is regularly engaged in commercial disputes involving not only the due performance of obligations but also those where fraud is a component. The recent Chambers & Partners 2017 describe him as an experienced silk with a rich history of work at the Chancery Bar. “An old-school gentleman lawyer” with the “ability to identify alternative and sustainable arguments, combined with pragmatic advice, which is invaluable”. The Legal 500, 2016 describe him as “highly recommended“, “incisive” with “a very good eye for detail“. In Chambers & Partners 2015 he is described as, “a classic trial advocate who is absolutely superb on his feet”, “he is very good at difficult cross-examinations” and his “attention to detail and ability to identify alternative and sustainable arguments prove invaluable”. In the Legal 500 2014 he is noted as being “a first-class, authoritative and commercial barrister” who is “an excellent cross-examiner”.